Many divergent objects and painterly techniques coexist in John Bunker’s uncanny collagic realm. One might be reminded of how the defaced billboard hoardings mask the vacant lots on the sides of busy approach roads to the big cities. But Bunker infuses this urban hinterland with the visual pulse unique to modernist art. He forces the history of abstraction into new and dynamic relationships with life lived in the urban sprawl. The results are absurd yet poised, brutal yet strangely elegant and psychologically charged. Bunker has held solo exhibitions in non-gallery spaces across the East End. In 2013 he curated ‘Grit to Gold: Collaging the Abstract’ at Standpoint Gallery, showing large-scale collages alongside paintings by Frank Bowling OBE RA and by Scott O’Rourke. 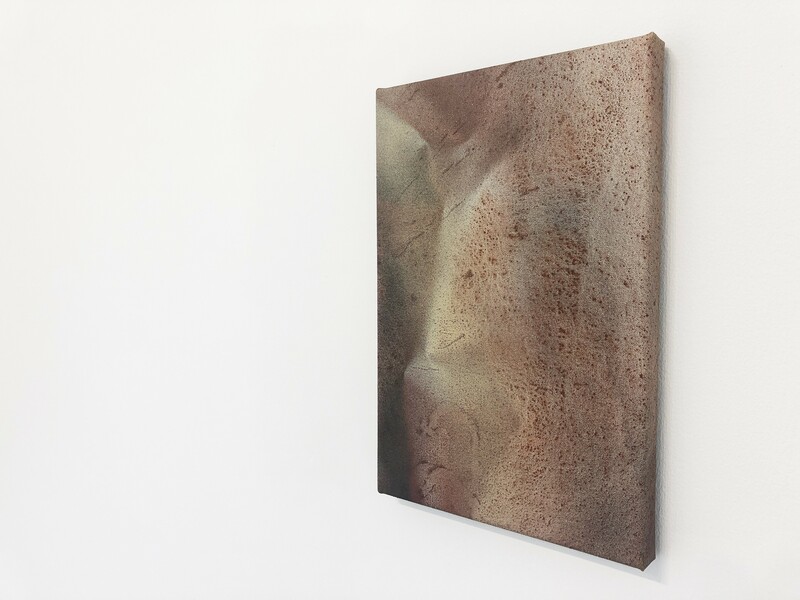 Other recent group exhibitions include ‘Bowling’s Cru’ (The Cello Factory, 2012); ‘Intimate Abstraction’ (The Searcher’s, Bristol, 2013); ‘Circus’ (Belmacz, Davies St, 2014). 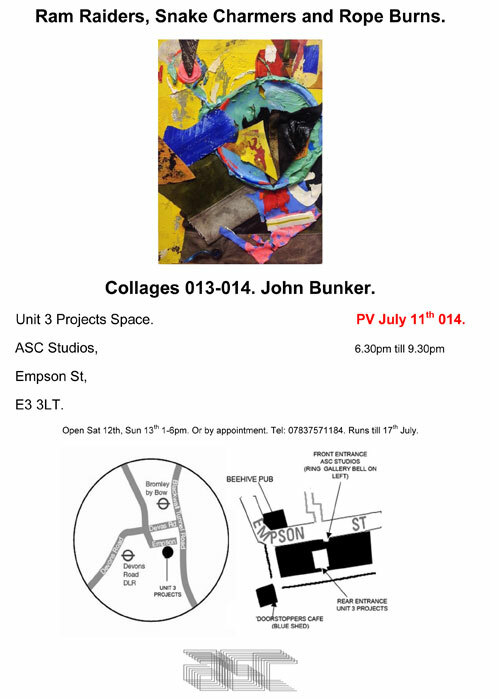 Without gallery support Bunker’s collages have entered private collections alongside work by artists including Gillian Ayres, Georges Braque, Alan Davie, Robyn Denny, John McLean & John Hoyland.